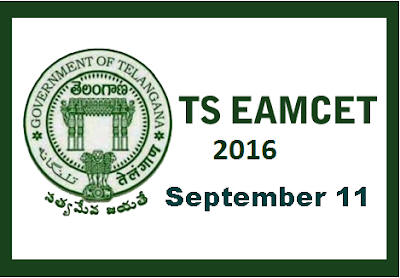 The government of Telangana has scrapped the TS EAMCET II Exam 2016 due to the leakage of paper. Now TS EAMCET 3 Entrance Exam 2016 is going to fill Medical seats available with the colleges of Telangana state. As per new schedule, the examination will be conducted on September 11. Candidates those applied earlier EAMCET 2 are no need to apply EAMCET 3 Entrance exam again. The students those not applied EAMCET 2 can apply EAMCET 3 Exam freshly. Students can download a fresh EAMCET 3 Hall ticket 2016 to attend the exam. Online application fee for EAMCET 3 has exempted to pay for all candidates. Please refer to the complete syllabus for TS/Telangana EAMCET from simplylearnt.com for the Medical. Currently we are not offering the Engineering entrance exam.